It’s not about going viral. Right off the bat, let’s get our priorities straight. “Going viral” is the last step in a long journey of building great content and should never be the goal of a social media marketing campaign. Don’t get distracted by the numbers of followers or engagement. They may not even be authentic individuals; it’s believed that between 9% and 15% of active Twitter accounts are bots. This translates to nearly 48 million bot accounts. 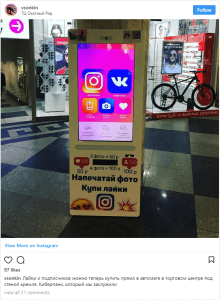 A vending machine in Russia went viral last year where users can buy hundreds of likes and followers on the spot. It’s not about the numbers – it’s about making authentic connections with real people. Social media companies have purposefully reduced the organic reach of content to better incentivize (force) businesses to use Paid Ads. What does that mean? It means that your unique content needs to be even better for people to engage with it and build up enough juice to be shared organically. Each of your social media channels should be posting unique content and for good reason. Why would someone follow your brand on different social media platforms if you have the same content across them all? Make sure you are incentivizing potential customers for each channel, not just spamming the social media world with duplicate content. Interact with your customers! Respond to their questions, get to know them better – you are building relationships, not shoving your products and services in their face. An often overlooked first step of increasing Instagram engagement is switching the account to a business profile. Not only does it increase the chance of Instagram showing your posts to people with similar interests, but it gives you large “click-to-call” and “click-to-email” buttons right on your profile. Switching to a business profile also gives you access to analytics about impressions and engagement. Identify your interests and passions, and then stick to it. Most people are nervous to niche down, afraid that they’re going to lose potential customers. The only way to stand out in today’s world is to have a niche! 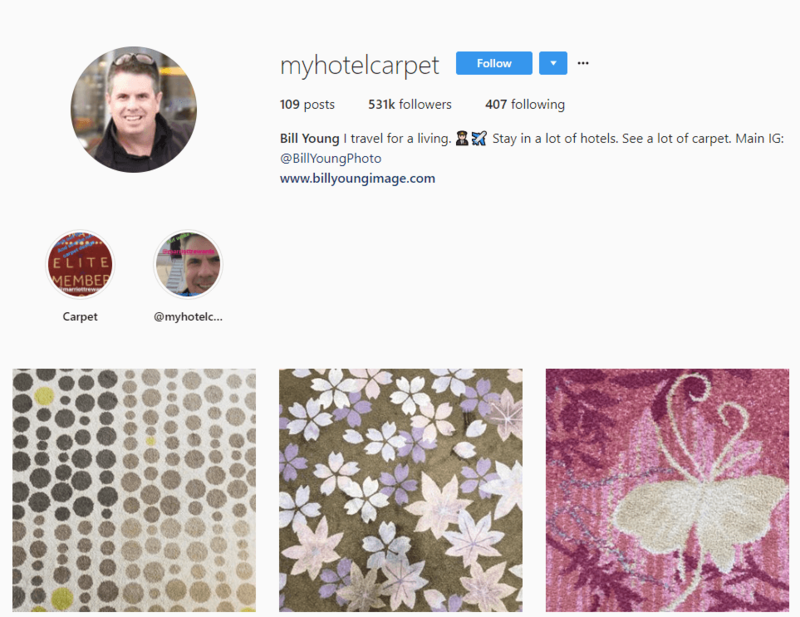 A great example is the Instagram account My Hotel Carpet. You know exactly what he is going to post about, and you’re excited. You don’t need more than that. Bill Young, a corporate pilot, never expected to go viral. 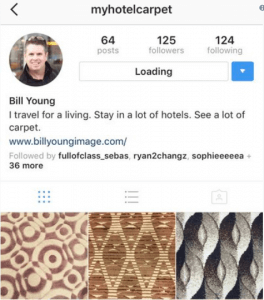 But after his daughter tweeted a request for people to check out his Instagram account, it exploded from 125 followers to over 531k followers. A huge part of life and business that many people forget is luck. You can’t control what people will share or how they’ll react to your content. You can’t control the social media algorithms to get more organic reach. But you can control your brand message. And you can control how hard you work. So keep building.